Seacret Direct Review – Is This a Good Program to Sign up to? A lot of people are turning to network marketing opportunities in order to work for themselves. This is a great idea, but the problem is that there are so many of these companies out there that it may become difficult to figure out just which one to go for. One that you could be interested in is Seacret Direct. They claim that they have been able to attract a huge range of prominent direct sales experts to their company, which really makes them very interesting. 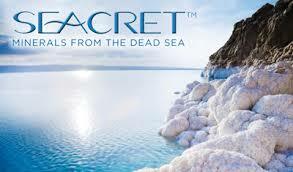 Seacret is a company that sells various beauty and cosmetic products, combining science with nature. They have tremendous faith in their products, to the point that they believe that anybody who has ever used them will come back for more. As such, they have created two different opportunities, enabling people to not just use the products, but sell them on as well and earn commission in the process. Seacret prides itself on having very strong ethics and integrity. As such, they want to build excellent relationships with partners and customers alike. They also want to make sure that people have the opportunity to better their own lives. In order to take part, you must have a true winning attitude, always being ready to learn and do more. To make sure others follow that same vision, they truly recognize and celebrate when other people within the company have great achievements. They help others to make sure that they never have to give up on their dreams. All of this is achieved by offering amazing customer services and making sure that their representatives – you – are ambassadors for the product itself. A core belief is that we should always express gratitude and humility to others, as this will make the world a better place. This is how a true culture of respect and excellence is created. The company was started in 2005, making it one of the newer players on the block. However, their cosmetic products have so far generated $1 billion in sales, and are showing no signs of stopping. 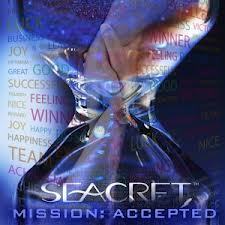 Through Seacret, there are two ways to earn money. The first is to become a preferred customer. In doing so, you will be able to save as much as 60% on your purchases of the products yourself. Additionally, they include an “Enroll 4 and Pay No More” program, which means that if you sign up four more people, you no longer have to pay for the product yourself. Additionally, because you are committed to sharing the products offered through Seacret, you will also receive various freebies, gifts and other fun things, as well as having access to the VIP suite online, where you can make sure you still have sufficient stock. Additionally, when you spend money, you will get a point for every dollar you spend, which can be used to purchase further products. The second option is to become a Seacret Agent, where you can truly take charge. With this option, you will be able to truly build your own business, with an unlimited and immediate earning potential. Anybody can take part in this, regardless of their past experience. It is commitment that will allow you to be successful. Most importantly, the start-up cost is just $49, on top of purchasing your first products. The compensation plan that they offer is binary. This means you can earn of your own efforts, but also by roping in others and effectively earning from their earnings. Indeed, the commission here can be as high as 15%, which is a really good opportunity. However, you do have to know what you are doing in order to make this a success. The company focuses on a very specific niche: the cosmetics industry. This is a solid market that has seen significant growth, even during the times of the economic crisis. Indeed, it is a $320 billion industry globally. The products are really good, which makes it easy to sign up to this scheme. I really like that there are two different levels of signing up. This gives you the opportunity to get to know the company, the product and the business plan before you make a decision. There is a lot of explanation available on what the products are and how they are made, as well as what the science behind them is. The start-up fee is really low, particularly compared to some of the other big giants out there. The VIP suite is perfect for keeping track of your orders and earnings and generally see where you stand with your business. As much as I enjoy the fact that they have a highly specific niche, I find that this could also be seen as working against them. By being limited, they also limit the number of people that may be interested in their products. As good as their products may be, it could mean that you will find yourself in a position where you have to push hard sales on a product that you maybe don’t fully understand yourself. I was personally very impressed with Seacret Direct. It has some drawbacks, as you can see, but I don’t feel these are significant enough to not give this opportunity a positive recommendation. Although they use a limited niche, it is one of the biggest ones in the world, and one that will speak to people on a global level. As such, the opportunity to earn and earn big is there, depending fully on how much you are willing to put in to it. You could earn enough simply working with your friends and families, but if you feel up to it, you could also expand and work across the globe. Clearly, it is a very real opportunity and I recommend you try it as soon as possible.